While the university’s engineering department remains closed till May 6, Obuchi Lab G30 Studio met in a café to discuss the progress on their ongoing studio projects. 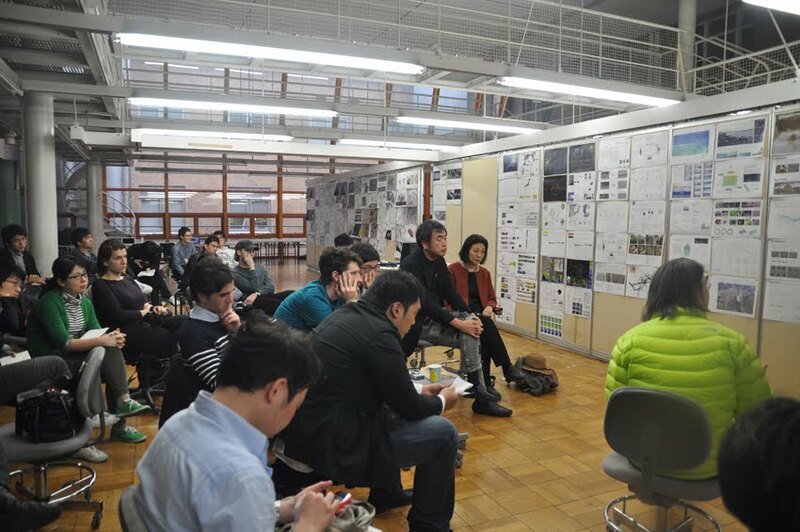 Current studio topics, including alternative power plant, floating forest that generates fresh air by plankton in Tokyo bay, structure built with mussels which also functions as water purification system, will be developed further and will be presented at Princeton University joined by Columbia University and Tsingha University. 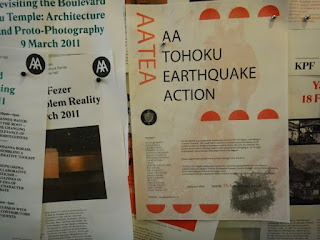 As usual, the AA is quick in making actions. To support the victims of the earthquake in Japan, Shin Egashira of the AA organized a fundraising event at the AA’s terrace, provided with yakitori and grilled food. 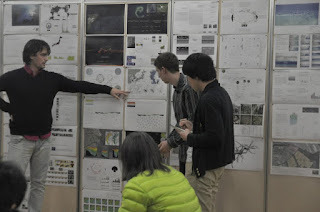 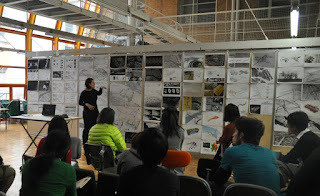 A few days after the mega earthquake shook Japan, Columbia students from New York led by Nanako Umemoto of Reiser+Umemoto have visited Tokyo to join midterm review organized by Princeton, Columbia and University of Tokyo. 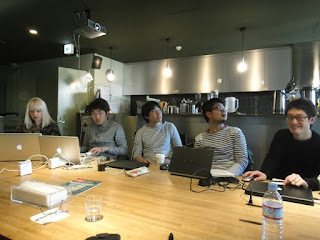 They were visiting Kyoto taking part in their Japan Trip Program when the earthquake hit. 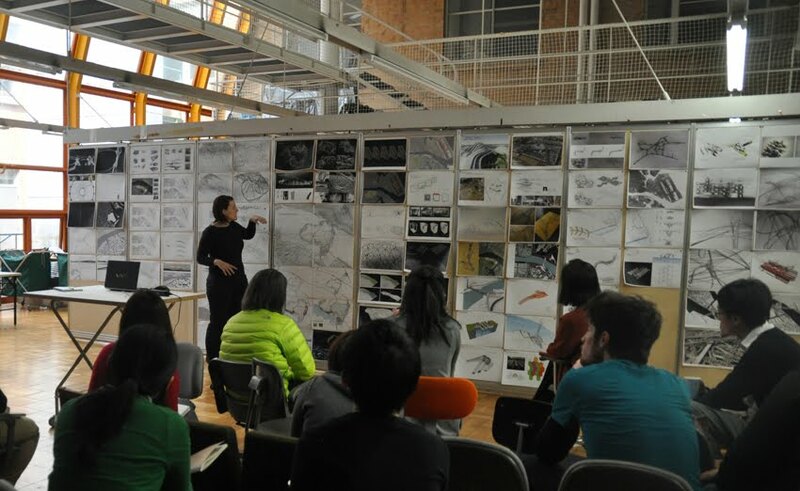 The review was planned 6 months in advance and all students from those schools in the US and also from Tsingha University in Beijing ware planning to participate.